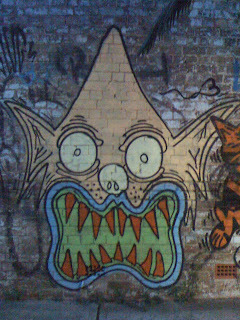 Sydney graffiti artist Slug sent me this photo of someone with a tattoo of his famous psychedelic dog/shark/elf. 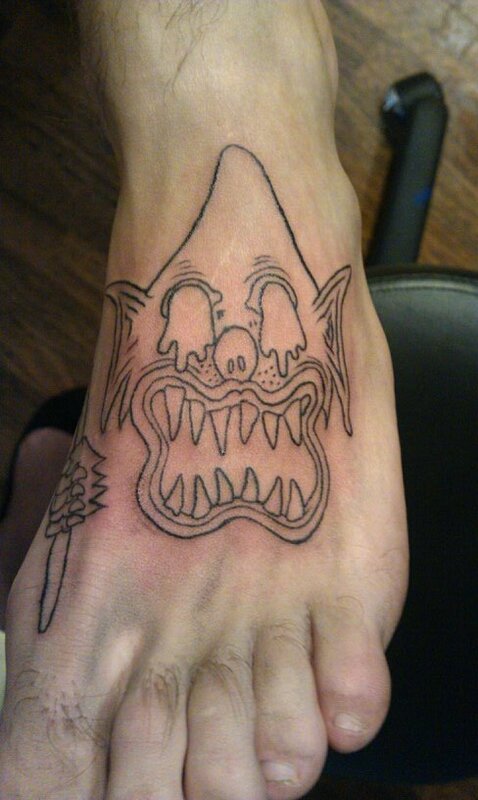 Acid Midget has requested comment confirming the owner of this foot. I speculate that tattoos could be bought as part of a bundle with Slug's new fanzine Sugar Shark.